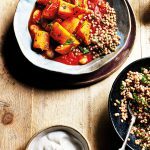 This vegan squash and bean stew is the perfect comfort food for a chilly day thanks to the mouth-watering blend of warming spices. Preheat the oven to 200°C, fan 180°C, gas mark 6. Put the squash in a large roasting tin and drizzle over the oil. Season well. Roast in the oven for 35-40 minutes, or until soft, then remove from the oven and stir through half the chopped parsley. Meanwhile, mist a large pan with cooking spray and put over a medium heat. Fry the onion for 4-5 minutes, or until soft. Add the garlic and cook for a further 1 minute, then add the pepper. Cook for 5-6 minutes, or until softened, then add the spices and cook for a further 1 minute. Add the tomatoes, butter beans, vinegar and agave syrup, then stir well to combine. Simmer gently for around 20 minutes, or until the liquid has reduced. Meanwhile, prepare the couscous to pack instructions and stir through the remaining chopped parsley. 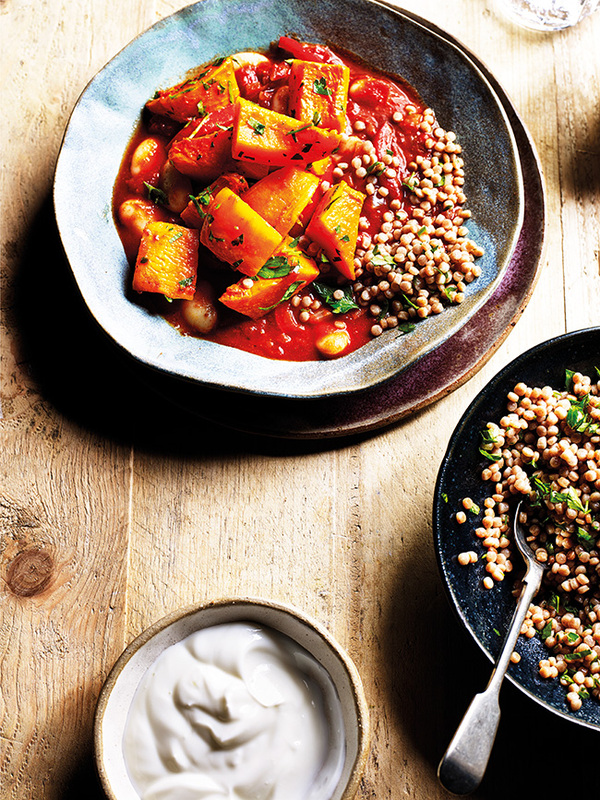 Serve the stew with the couscous, topped with the roasted squash and a dollop of soy yogurt.